The Remodelage method was created by Martine de Richeville. This method is available in Paris, Brussels, Geneva, London, Madrid and New-York. I get my treatment done in London by Julien, whom I love to call the Pincher because that is exactly what he does; He pinches and massages my skin to redefine and shrink a little on areas such as the waist, the thighs, the ankles etc. Wear pantyhoses or tights that cover the bum – a compression brand I recommend is by Sigvaris. They are experts in medical compression and have recently launched a well-being range. The well being range is a light to mild compression. For women with varicose vein issues I recommend class 2 compression which is medical grade. Sigvaris has decent designs that can be worn daily. The more you wear them the better as it can be a cellulite killer... It is an essential tool for women seating all day or for those who stand up with no proper walking. Avoid long hot baths… heat dilates your blood vessels and weaken your blood flow. If you can, when you get out, shower your legs with cold water starting with the feet up to the thighs for a minute. It will contract the vessels. For women with abdominal fat it is important to do anything you can to improve your intestinal transit and bowel movement. Eating consciously is of course the most impactful factor and having a good digestive flow is extremely important so that the toxins don’t sit too long in your intestines and the flora can do its job optimally. One first tip is to work on your breathing. To begin with you’ll have to force yourself a little but try to breathe with your stomach… when you inhale your stomach must go up and your ribcage must stay still. Try to keep your shoulders as relaxed as possible, this will create a regular movement in your bowel that will help you to go to the bathroom more often. If your main concern is cellulite consider microneedling. Microneedling the body can help not only with cellulite but also stretchmarks and other scars. 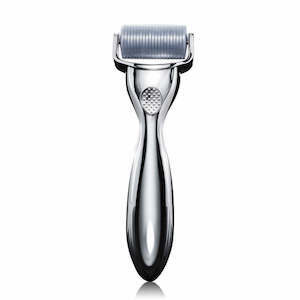 I use the Skin Roller for Body by Swiss Clinic (£49). This method will give your skin improved elasticity and immediate glow. Another tool I love to use is the Hayo'u Body Restorer (£35). This tool helps to reduce inflammation, boosts immunity, releases tension, promotes better sleep and relives muscular pain and headaches. I do not accept payments to create videos on my social channels.